Paul Lorrain, the Ordinary of Newgate, enlivened his report of a November 2, 1715 mass hanging at Tyburn with an interesting accounting that gives us a spreadsheet’s-eye view of death penalty volume for the time. For this trove, seven lives: just another day at the Triple Tree during the Bloody Code. What he says next we’ve formatted from a charming little spreadsheet that Lorrain supplied his readers. It’s entirely unclear to me why he did this; perhaps, as with this very blog reproducing his work three centuries later, it was simply to break up the tedium. 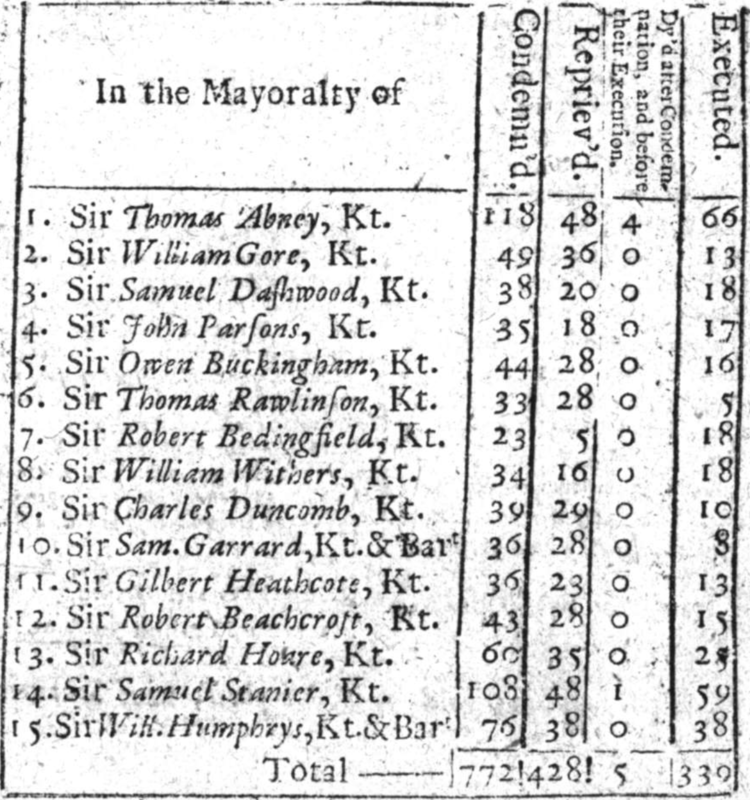 1776: Benjamin Harley and Thomas Henman, Smugglerius?